Create your own custom Samsung Galaxy S9 Plus case. Your favorite picture, also printed on the sides of the hard case. A custom phone case that protects the back and sides of your smartphone. With our custom Samsung Galaxy S9 Plus case, you can add your favorite design or picture to your smartphone. The print of the custom full wrap slim cases is not only on the back but also on the sides of the case. In this way, you get a consistent, even better look for your phone. Naturally, you also want your everyday companion to stay in a great condition for a long time. GoCustomized got you (or better your smartphone) covered! Our custom phone cases are made of polished plastic, which is resistant to scratches and drops, and therefore offer the protection your cellphone really deserves. 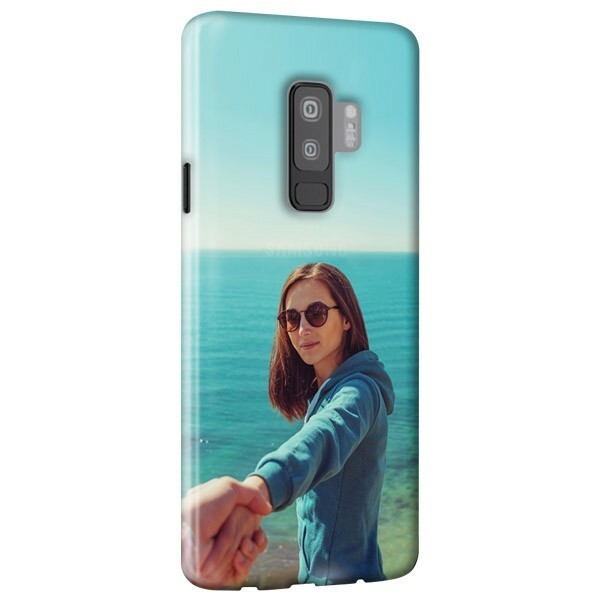 Design a custom Samsung Galaxy S9 Plus case for you or your friends now! 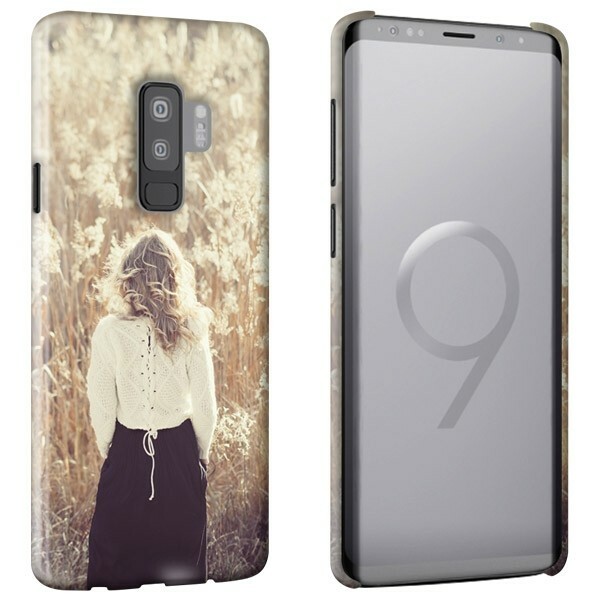 How to design your own Samsung Galaxy S9 Plus case? Creating a custom phone case is very easy! At GoCustomized, we have created a design module which helps you to make your own phone case easily and quickly. First, you need to upload your favorite design from your computer, smartphone, or social media account. Then, you can edit it until it is exactly what you are looking for. You can, for example, change the size of your picture or rotate it. If you want to customize your new custom Samsung Galaxy S9 Plus case, even more, you can add any kind of text. There are many different fonts and colors to choose from! How is my custom case produced?